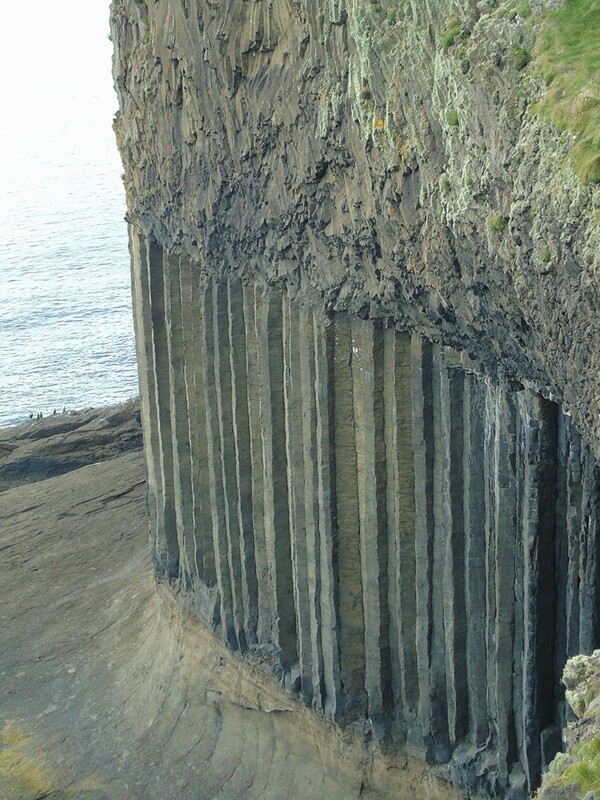 The breathtaking beauty of the Scottish islands is beyond compare and the contrasting geology and customs among these island makes each one unique. 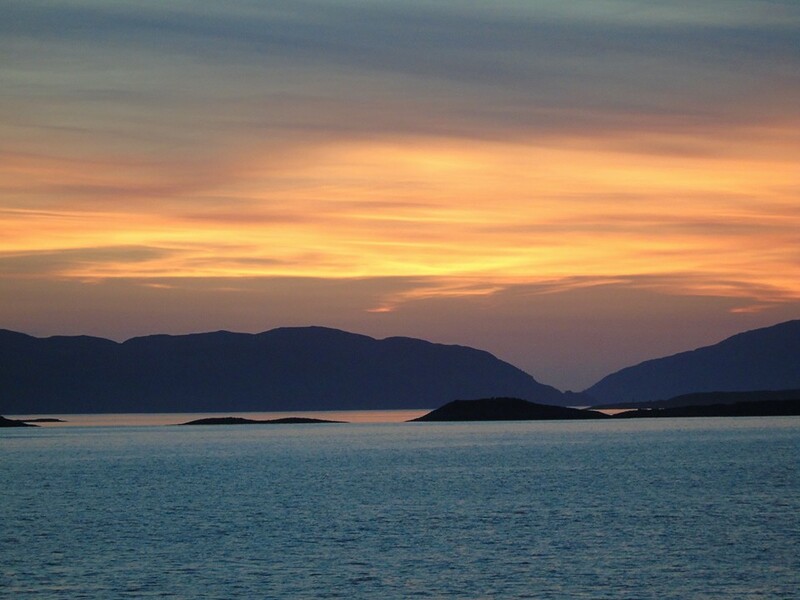 The Hebrides must be the most magical and unspoilt of all the islands around the coast of Britain and what better way to explore them than from the comfort of Hebridean Princess. 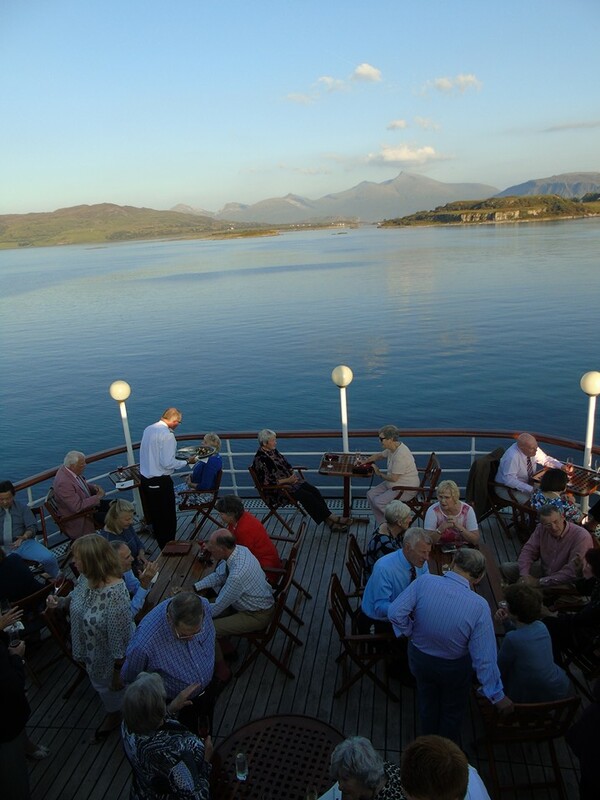 Another cruise ended this morning - we wish all our disembarking guests a safe onward journey home. 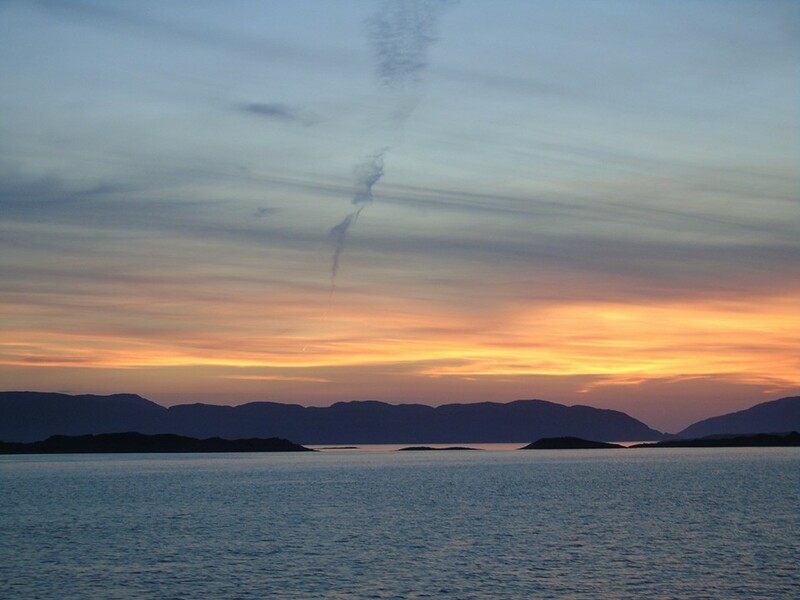 As we left our anchorage this morning several basking sharks were spotted swimming lazily within a few metres of the ship's side, seemingly unaffected by our presence. 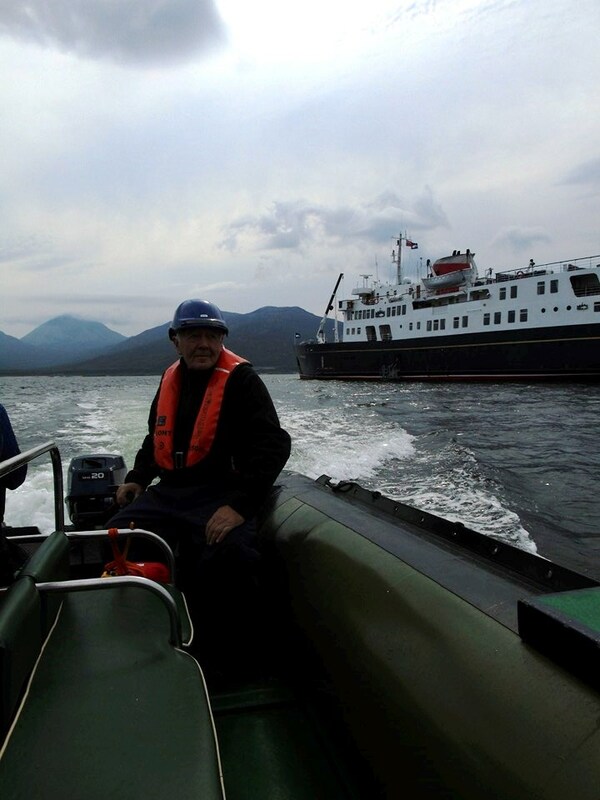 Returning to the Isle of Mull, the Isle of Mull Cheese Farm awaited our arrival. 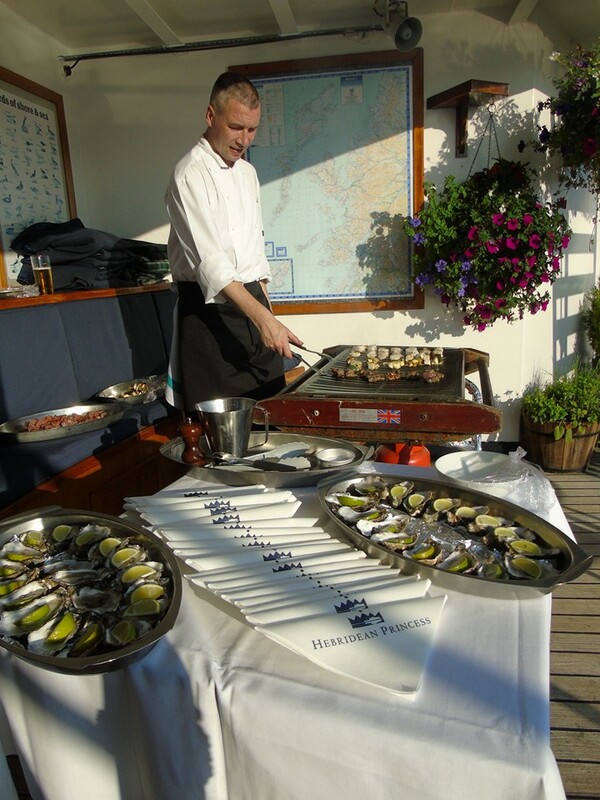 The Farewell Galad dinner was held at anchor off Java Point. Today was a relaxing day as we enjoyed a beach landing on Mingulay, one of the Bishop’s Isles, for walks on the beach where many seals were in evidence. Our afternoon was spent returning across the Sea of the Hebrides on passage to our overnight anchorage in Crossapol Bay, Coll. 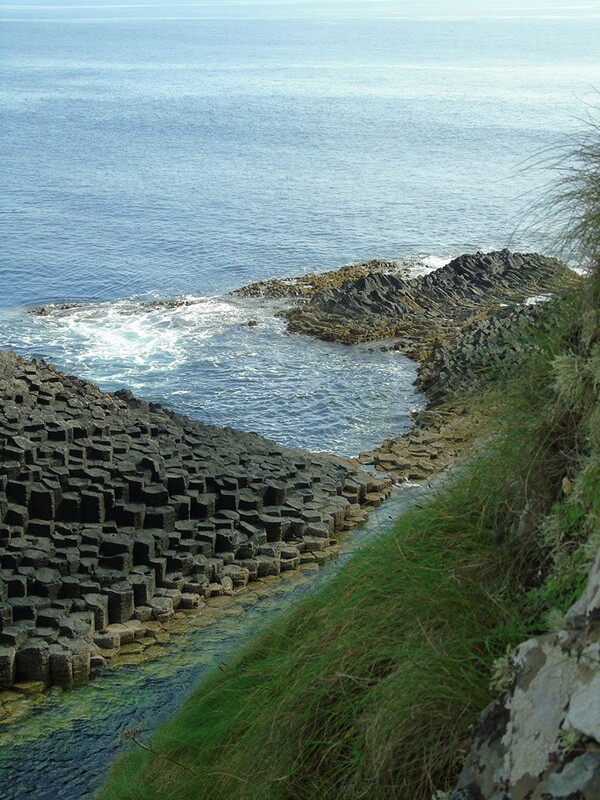 As we approached the Sound of Gunna several basking sharks were sighted. 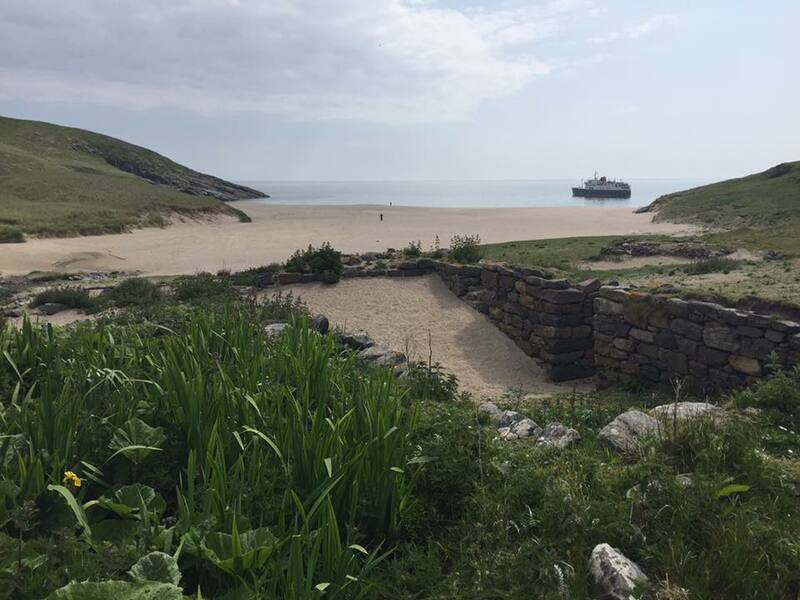 Hebridean Princess remained anchored in Tobermory Bay overnight and a morning sail, across the Sea of the Hebrides, took us to Castlebay, Isle of Barra. Our afternoon was spent enjoying walks on the beach at Vatersay in bright sunshine. 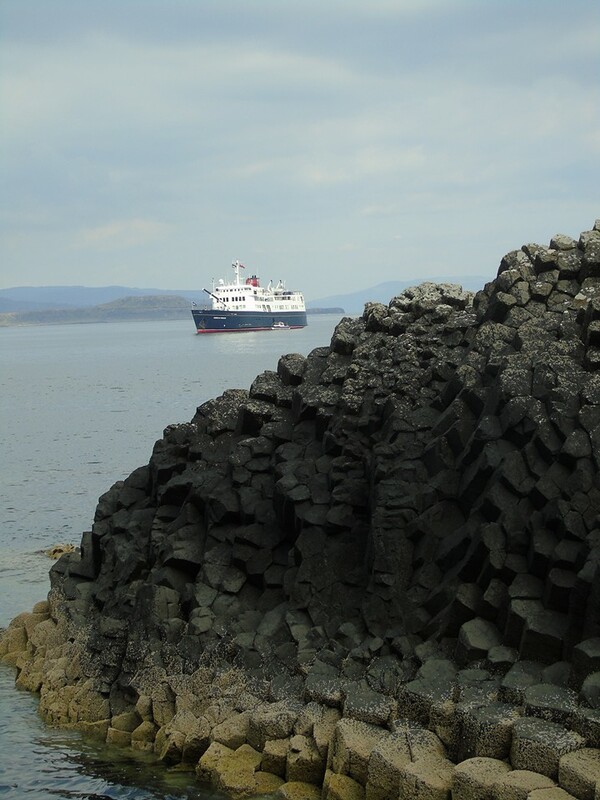 From our peaceful overnight anchorage in Loch Tuath a gentle steam to the small Isle of Ulva allowed guests to walk on the island and have the opportunity to visit Lip na Cloiche Gardens on the Isle of Mull. The afternoon was spent in the colour Georgian Capital of Tobermory on Mull. 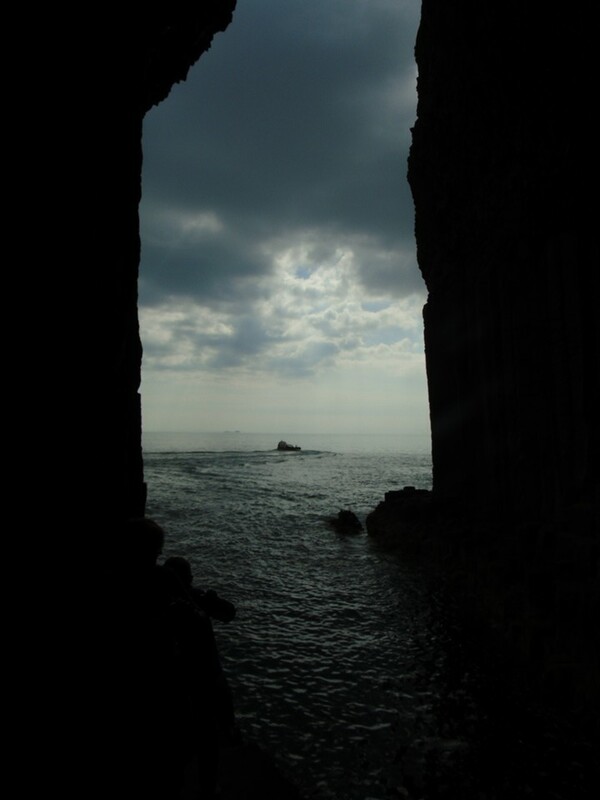 After breakfast guests were tendered ashore to the Isle of Iona where they could enjoy walks on the island and visit the Benedictine Abbey. 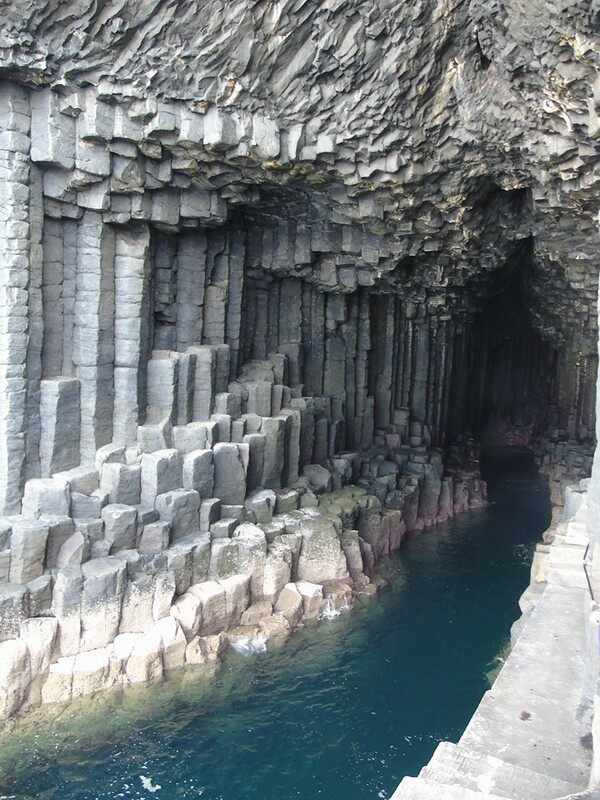 In the afternoon we landed on the Isle of Staffa for guests to wonder at the magical Fingal's Cave. 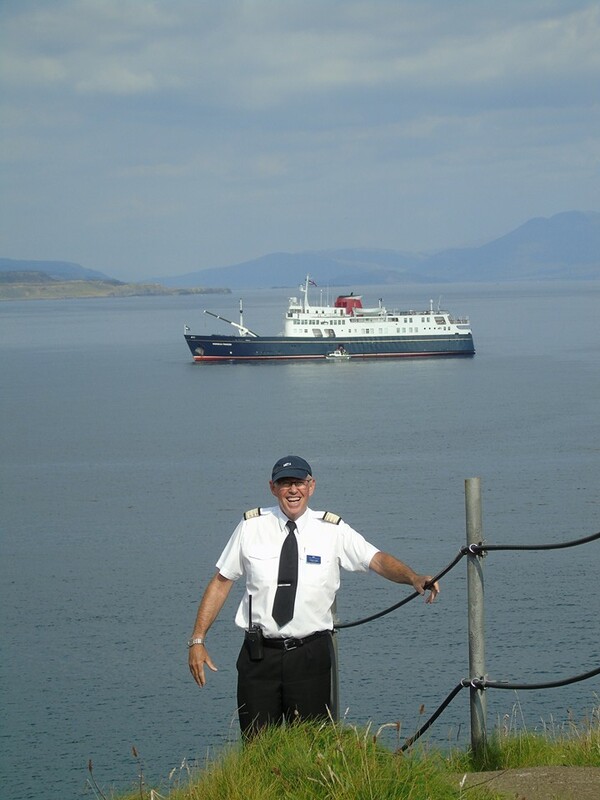 We anchored overnight off the Isle of Ulva. 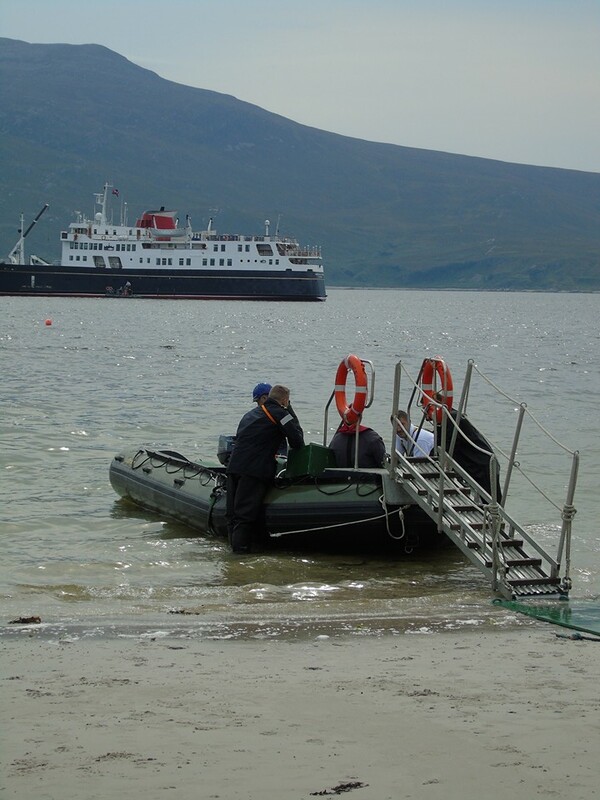 Today we made a beach landing on the Isle of Jura, the island where 200 inhabintant are outnumbered by 5,000 deer. 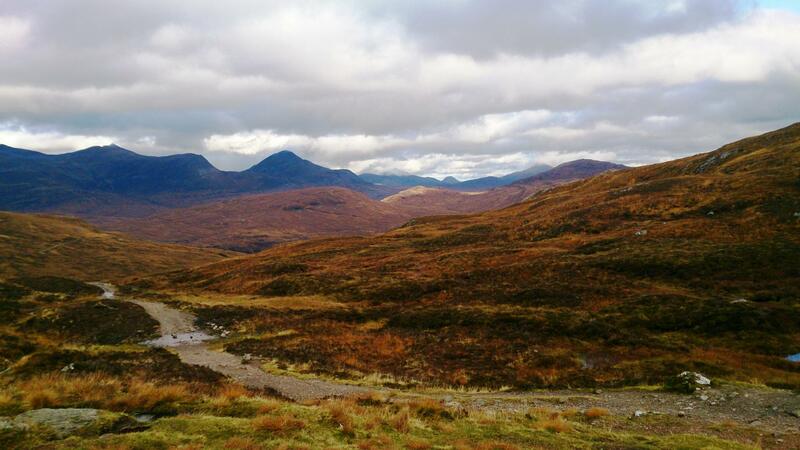 Guests enjoyed walks on the beach and the more adventurous took the path to the inland loch above West Loch Tarbert. 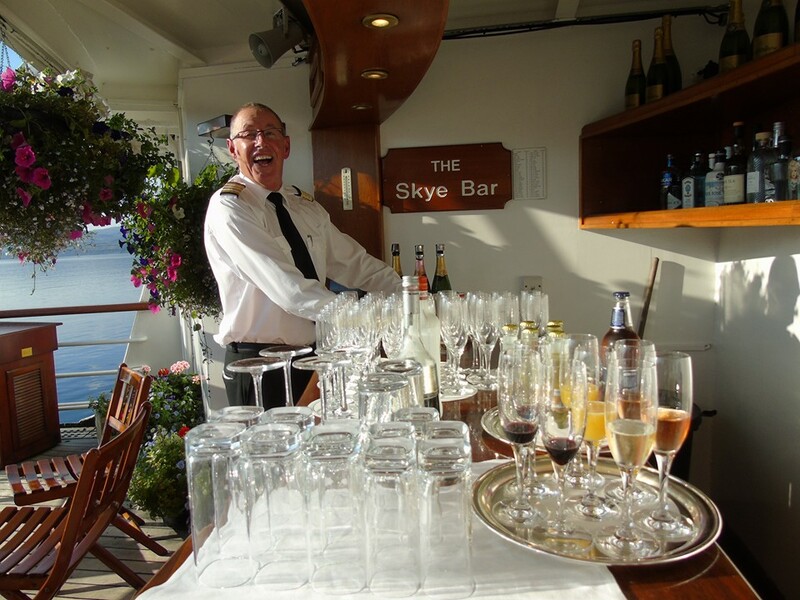 We anchored overnight off the Isle of Colonsay where the Welcome Gala reception was held out on the Skye Deck. 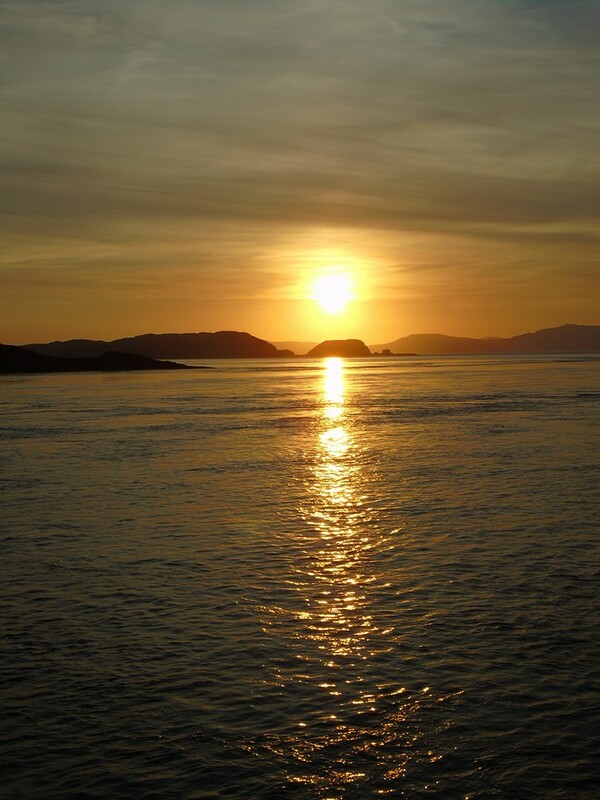 We set sail from Oban on passage to our overnight anchorage off Crinan and witnessed a glorious sunset.